This recipe is super easy to whip up and bake for dessert. I imagine it’d be just as delicious cold, but we’ve never had leftovers to enable us to try it. We like to eat it fresh from the oven, with icecream! 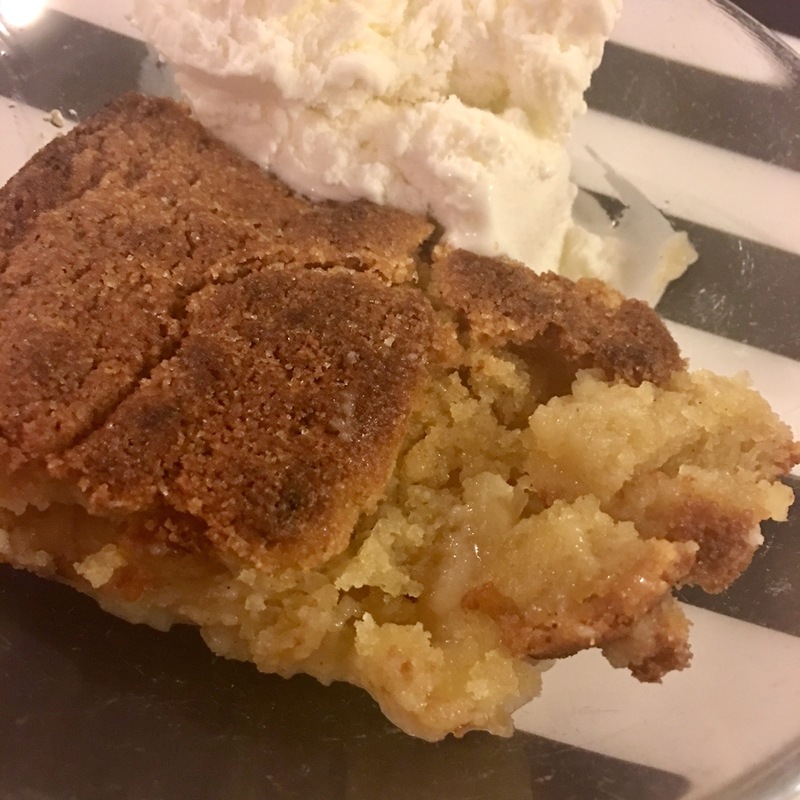 The biscuit topping is quite sweet; if you aren’t going to use a tart apple, like a Granny Smith, you might want to reduce the amount of sugar. Or not. ETA: we made this last night, adding 1/2 cup of shredded coconut to the biscuit topping. So. Good! I highly recommend it! I made ours tonight using apples from a friend’s farm. I used a mixture of Red delicious, Fuji and Geeveston fanny. It was a very sweet dessert – and we ate every single drop of it!